Understated styling combined with practicality, Nostalgia is finished in ivory, evoking memories of a dreamy childhood. The full-size cot bed has three base positions; newborn bassinet, intermediate and the bottom setting, it features baby-safe teething rails. The cot bed then transforms into a lovely toddler bed, so it grows with your child from birth to toodler. 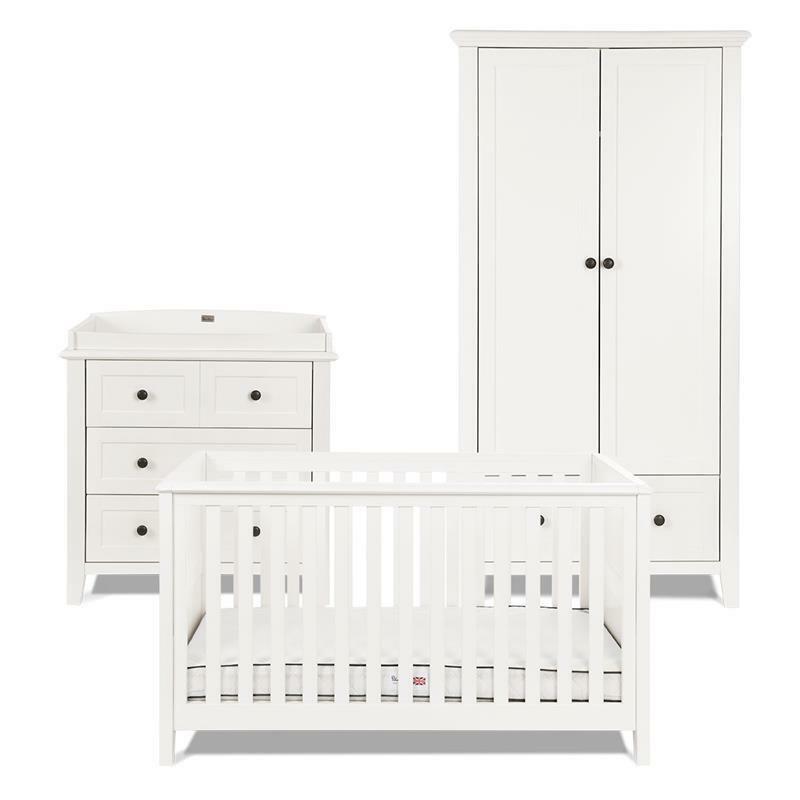 The beautiful changing unit and dresser is designed to offer generous storage and convinience. Thanks to a removable change top, the unit tranforms easily into a grown up dresser. The Nostalgia cot bed transformed from a cot bed, into a toddler bed and a generous day bed for ultimate longevity. The cot bed features a deep drawer for under-bed storage in all 3 modes and 3 adjustable base height positions to grow with your child. A classically desgined cot bed combining style with practicality, this cot bed transforms into a toddler bed, with generous under-bed drawer and 3 cot base positions to grow with your baby. 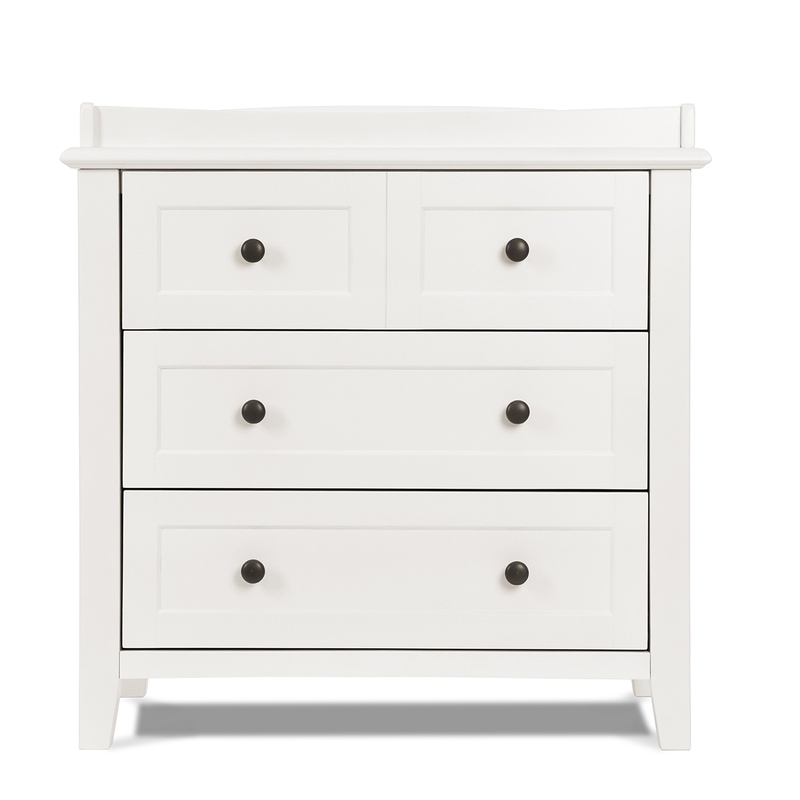 This full-size dresser is finished in co-ordinating soft antique white and easily converts from a changing station to a lovely dresses with soft close drawers and lovely pewter-effect handles.